Tokico RAK Series Coilovers - Dezod Motorsports Inc - Home of the automotive performance enthusiast since 2002. 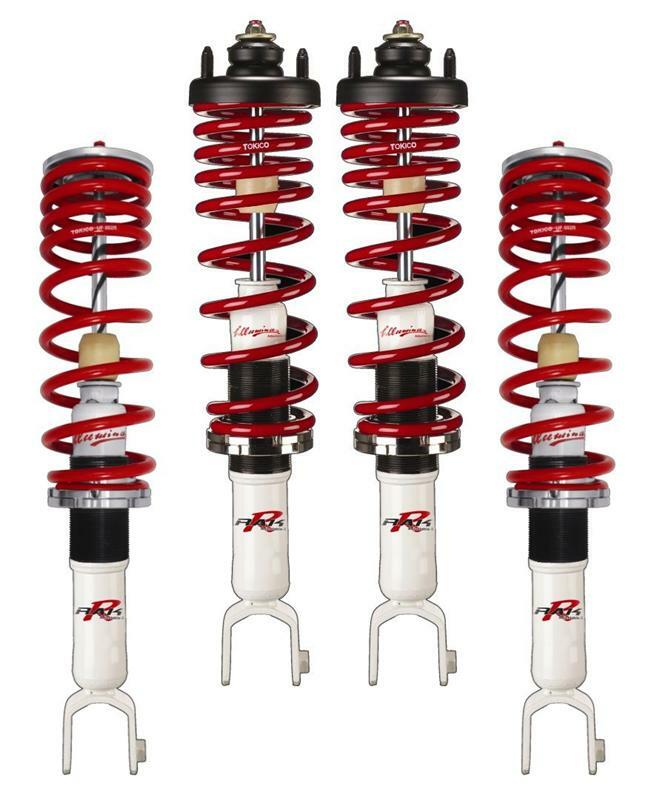 The RAK series incorporates the advanced technology of the TOKICO Illumina and D-Spec Series of struts and shocks. In addition, a threaded-body adjustable coilover design allows adjustment of the vehicle’s ride height by 0.5 to 3 inches. This series is designed with nickel-plated steel spring seats, a shortened shock body, and damping characteristics optimized for maximum control. It also includes high-tensile chrome-silicon springs specifically designed for the proper rate and preload.